A growing market continues to exist for the sale of pen-reared bobwhite quail, but state natural resources officials say a commercial quail breeder’s license is needed before opening for business. Before any individual can operate as a commercial quail breeder, state law requires that a commercial quail breeder’s license must first be obtained from the S.C. Department of Natural Resources (DNR), according to Billy Dukes, DNR Assistant Chief of Wildlife. This license is required for all quail species, not just the native bobwhite. 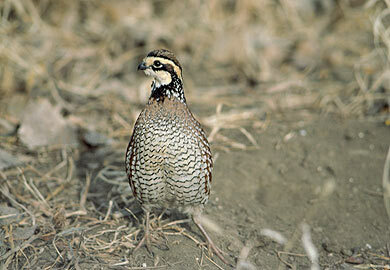 A quail breeder’s license from DNR costs $5. The license is valid from July 1 through the following June 30. For more information or a license application, write SCDNR, Quail Breeder’s License, PO Box 167, Columbia, SC 29202 or call (803) 734-3609 in Columbia. During the 2011-12 South Carolina shooting preserve season, over 400,000 pen-reared quail were released for hunting, according to Dukes. This figure does not include the thousands of quail bought and released for hunting on lands other than preserves, purchased for the training of bird dogs, used in bird dog field trials, or sold strictly for human consumption. Many pen-reared quail bought for recreational use were raised and sold by commercial quail breeders in South Carolina, Dukes said, and these individuals are required by state law to obtain a commercial quail breeder’s license from DNR. Exceptions to this law include hotels, restaurants, boarding houses and clubs that raise pen-reared quail to be consumed on the premises.